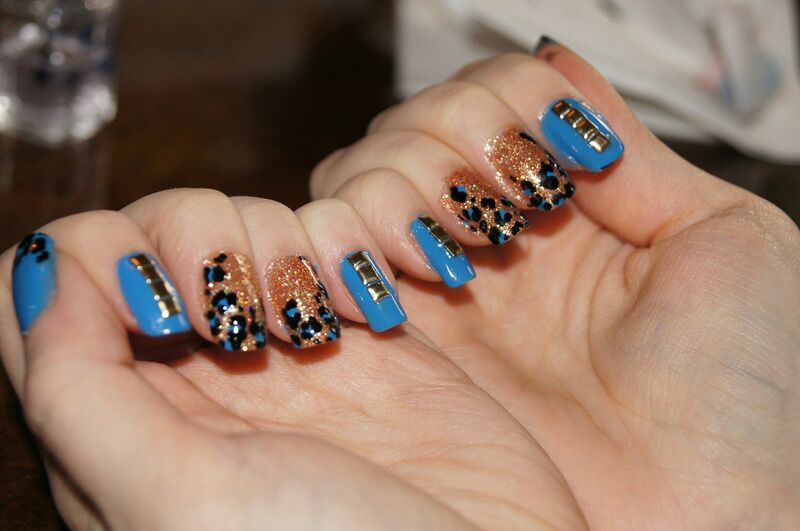 So, this is what your nails are going to look like if you follow the steps of this tutorial. This is super easy, yet chic enough for a party of any sort. You can change the look totally by just switching into different colors, by using a matte top coat, or changing the studs into different kinds of decorations. You'll need: base coat, bright colored polish, glitter polish, black polish, top coat, nail polish remover, q-tips, stud stickers, tweezers and dotting tools. I had a file and cotton pads because I had to tidy up the nails before staring this. 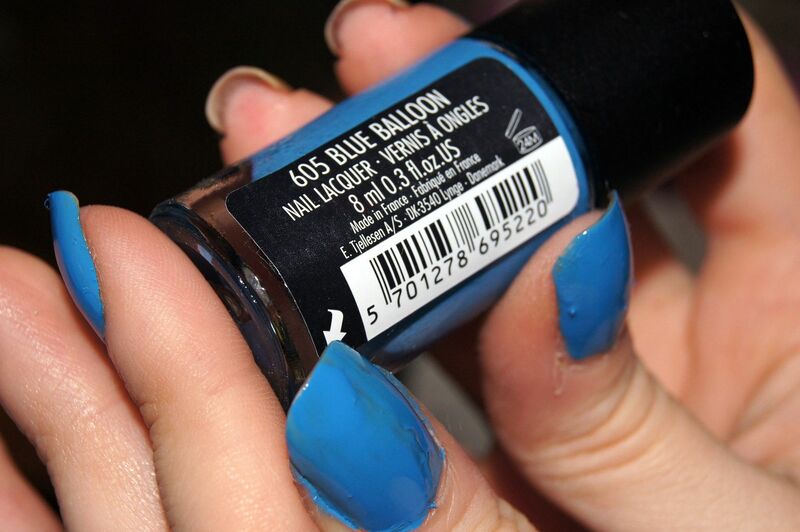 The polishes used for this mani were: China Glaze I Herd That, Essie All In One base coat, Gosh Blue Balloon, Essie Licorice, and Essie Good To Go. 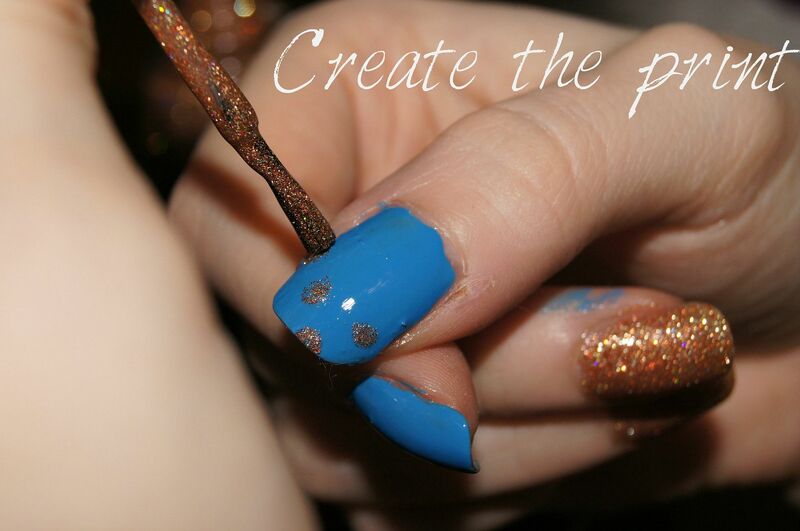 Start off with clean nails, add your base coat to protect them, and start the fun part - nail art. 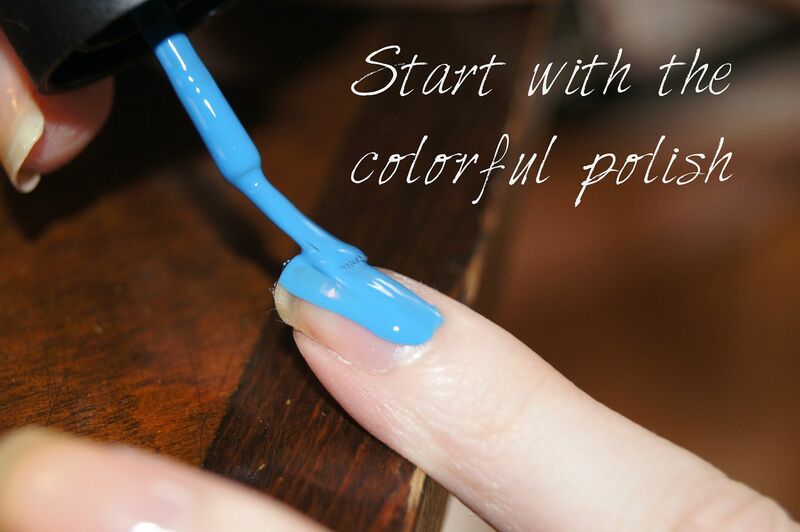 You can start painting your nails with the bright colored polish, paint your thumbs, index fingers, and pinkies with it. 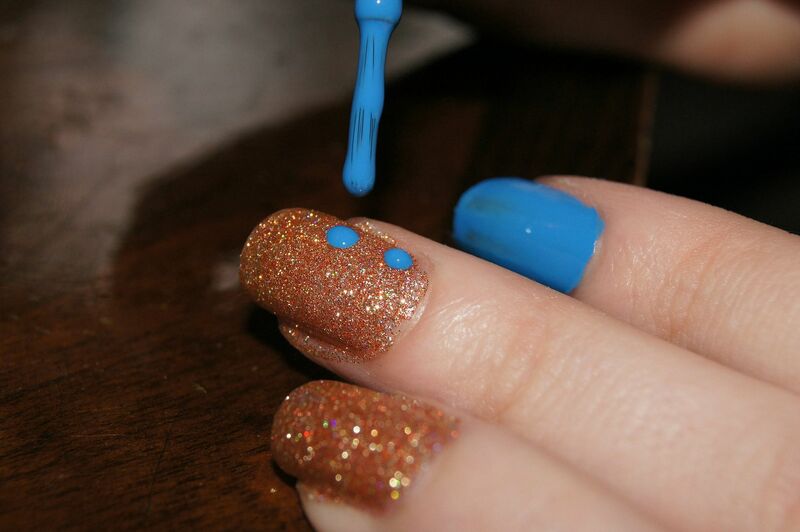 Let dry, and add another coat (and a third one, if your polish needs the to get opaque.). Don't mind if your cuticles get messy, there's time to clean them up in the end. 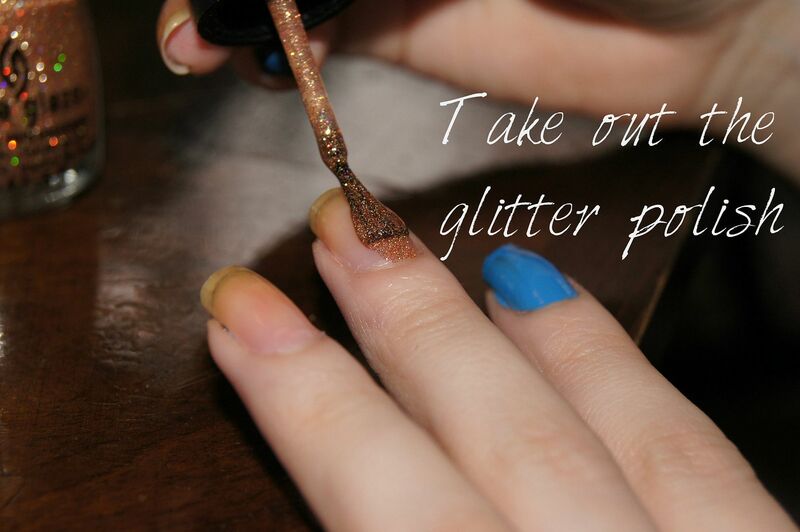 Take out your choice of glitter polish to paint the remaining nails. 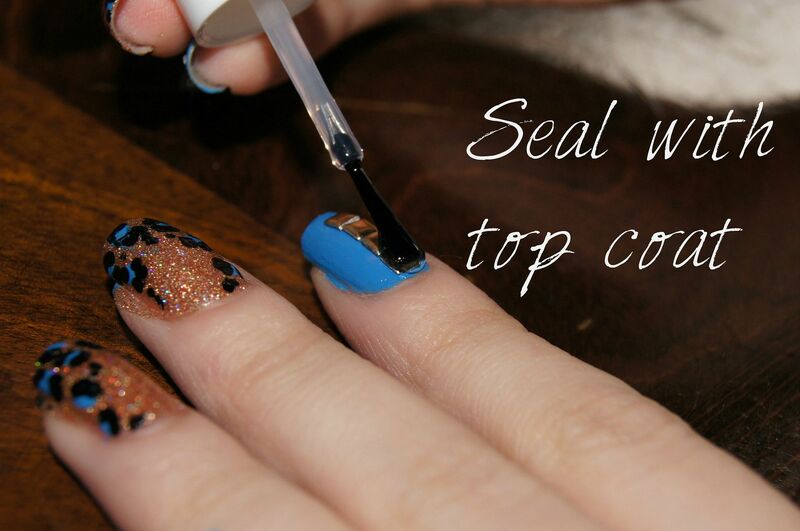 Use as many coats as you need to cover your nails properly. Let dry in between, and after. 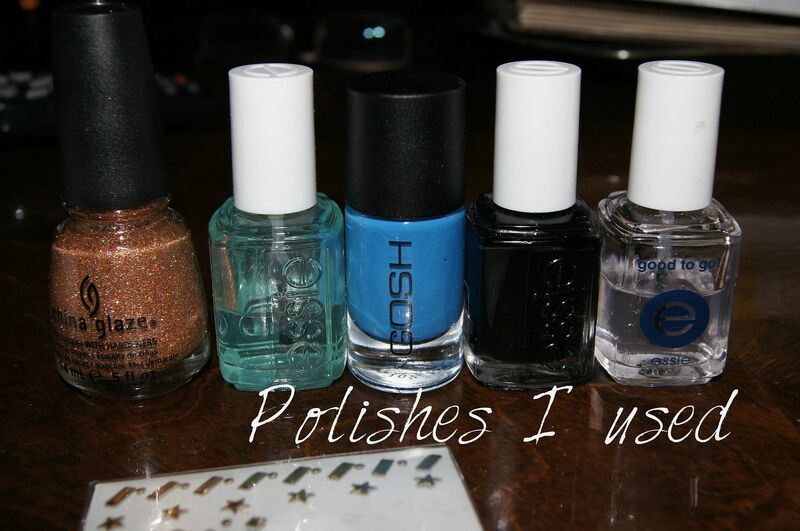 I love China Glaze's glitter polishes, they're all so amazing! 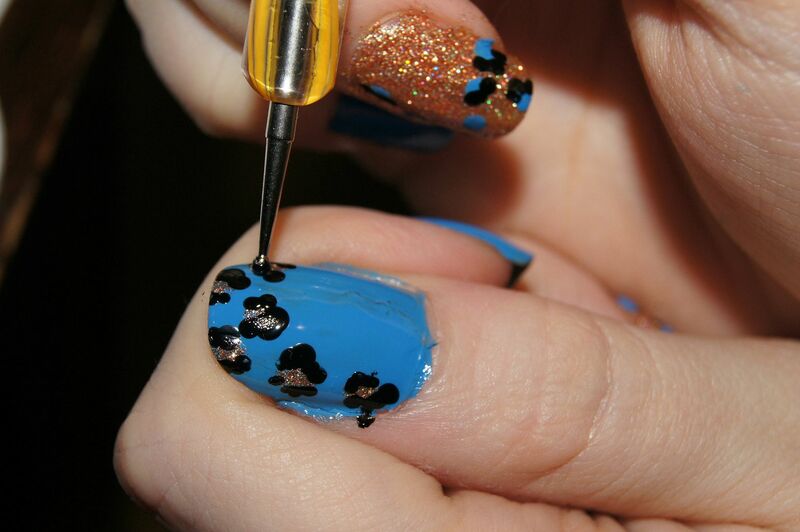 To make the dots into leopard print, use dotting tool, and add black polish around the dots in random-ish shapes. You can use two different sizes to make the print more fun. Add some small random spots in between the big ones to perfect the print. 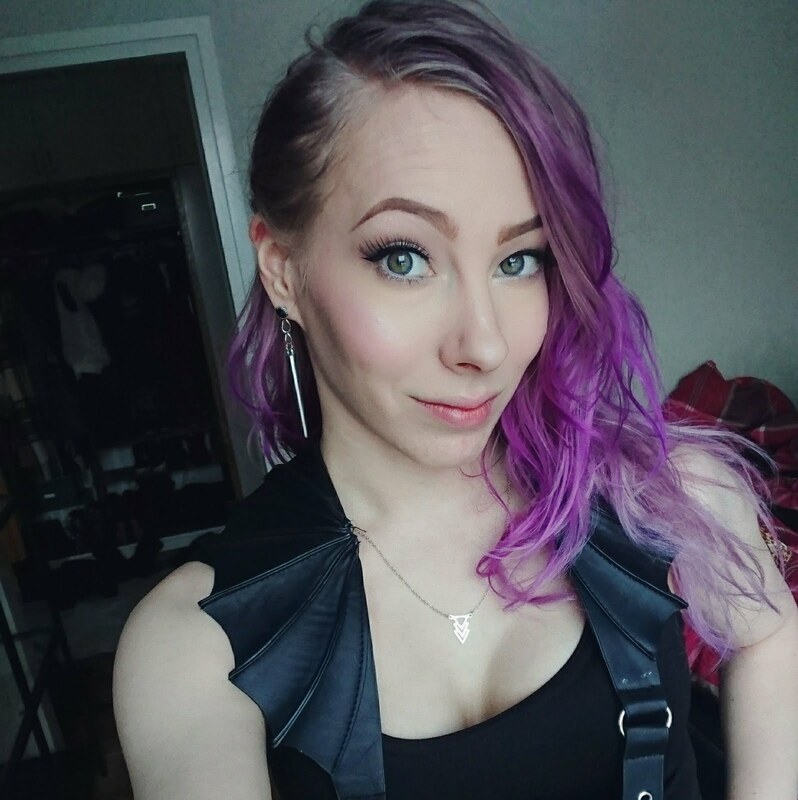 Now, take your studs, and start placing them with tweezers. Place a stud, press it firmly, and continue until you have the desired stud pattern. Mine was four square studs in a row for the index fingers, and three ones for the pinkies. 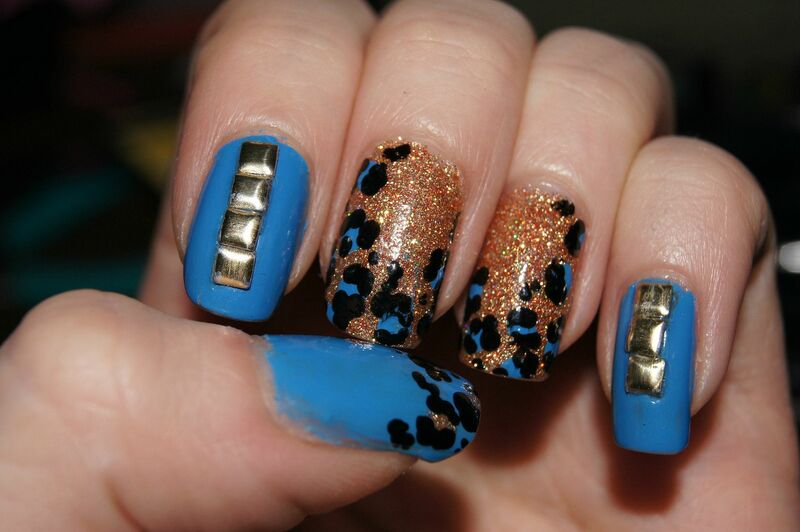 Cover your design with a top coat so it'll last longer - and so that the studs won't fall off right away. And that's it, you now have a glamorous little manicure and you can rock it anywhere. Not very difficult, is it? If you happen to try this out, please leave me a link so I can see your beautiful creations! What do you think about this tutorial? 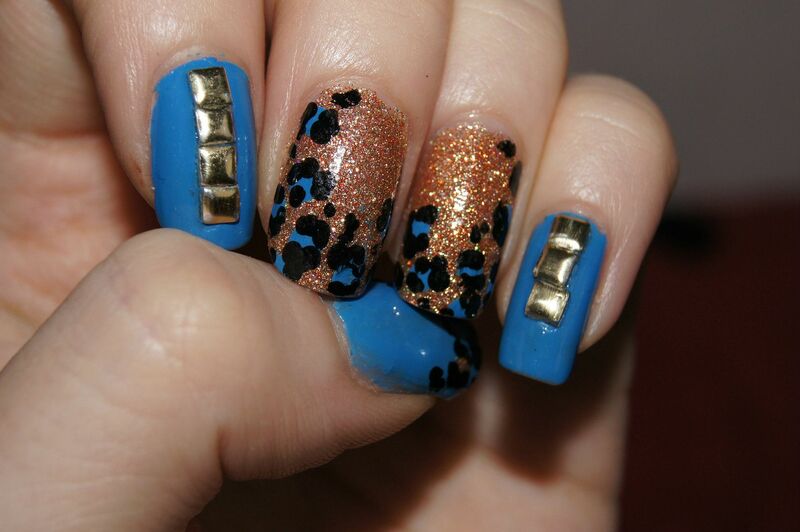 Would you like to see more these, and if so, what kind of nail art would you want to see here? That's all I have for today, but I'll be back as soon as I can - I have lot of things to post for you! Those nails are gorgeous. You make it look so easy. 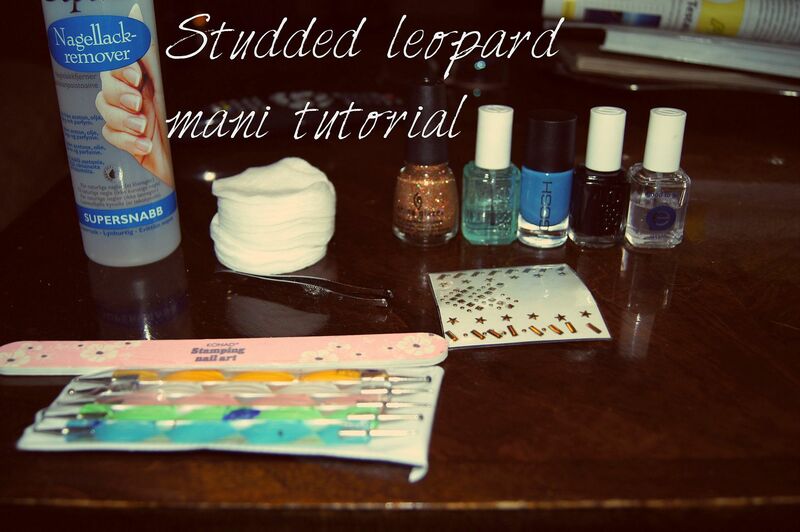 Awesome tutorial...detailed steps are very heplful indeed!! Johanna I am seriously impressed I absolutely love these!! The gold glitter is amazing too, never seen one as pretty.